Your casual holiday goer expects to travel when the sun is at its zenith in the height of summer. 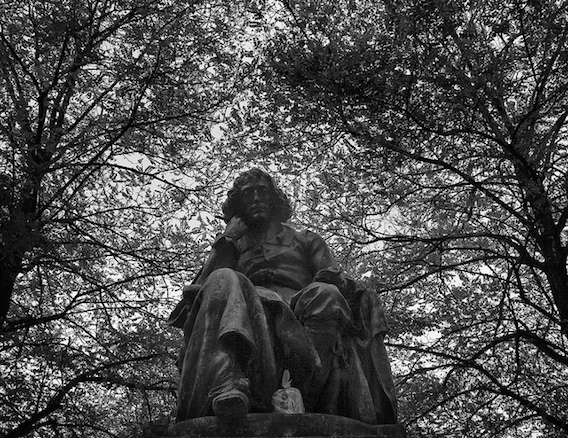 The trouble is, this is not a unique thought. That’s why you find prices slightly inflated over the summer months, crowds that little bit busier and let’s face it, hell is other people. That is precisely why late summer and early autumn are ideal times to visit those places you’ve always wanted to see. Children have gone back to school and since tourism season is waning most venues are actually glad to see you rather than fretting that all the wheels are turning sufficiently. In this post we’re taking a look some of the major venues in Holland you’ll be pleased to find ‘surprisingly’ accessible now that the main summer hubbub has diminished. Of course when you venture to a major city’s major attraction there will always be some footfall but you’ll certainly find them less populated given the season. 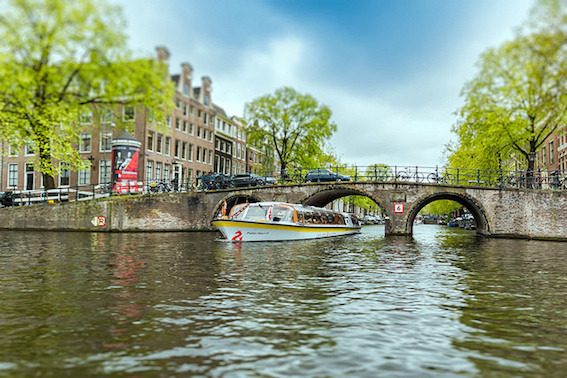 If you are drawn to Holland for its historical and cultural reservoirs then you will undoubtedly find succour in the major cities, namely Amsterdam. Though you should be wary that some of the less renowned museums are little more than shops that you pay to enter. To avoid this stick to the established and well listed museums they assuredly will not disappoint. Perhaps the ichiban (no.1) museum you’ll find listed in Holland is the famous Rijksmuseum perhaps the largest museum in Holland, as an institution it began over 200 years ago in The Hague before moving to the modern capital in the late 1800s. It boasts a million pieces in it’s inventory dating back to the year 1200. It is home to masterpieces by Vermeer, Rembrandt and Hals. Rijksmuseum is in close proximity to the other major art gallery in Amsterdam, which is perhaps most tourists’ first port of call the Van Gogh Museum. 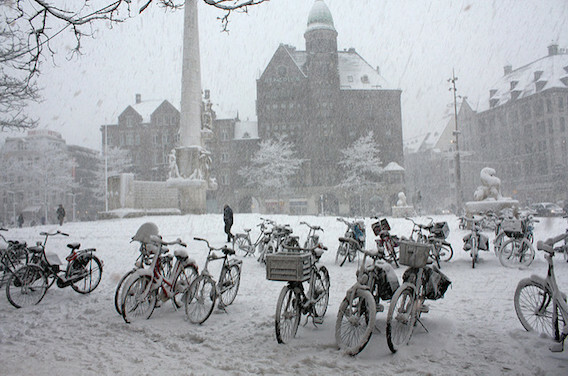 Both museums can be found on Museumplein ‘Museum Square’ in the southern borough of the city. The Van Gogh Museums attracts nearly 2 million annual visitors and is home to all the iconic pieces that Van Gogh’s name summons to the minds eye. The third museum we would suggest is the Wereldmuseum or World Museum. As a country with a proud naval tradition many treasures from across the globe were collected by interested parties. These parties formed the Royal Each Club in Rotterdam and welcomed merchants, explorers scientists and the like each of whom would pick up curiosities while they worked abroad. Eventually these items formed a broad enough collection to warrant one of the great ethnographic museums in Europe. The final museum you may probably have heard of is Anne Frank’s House. 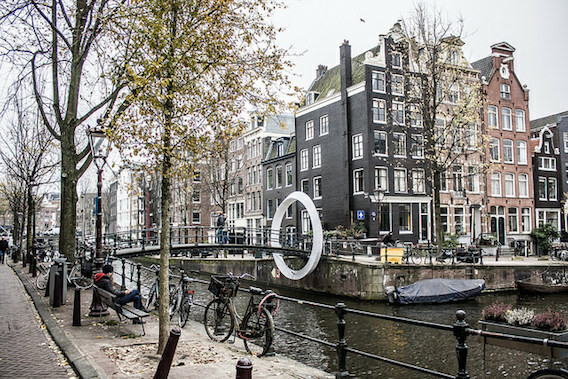 Amongst the splendour of Amsterdam’s famous canals and idyllic walkways is a place of real history with a story continues to captivate. For more information on this museum click here Though it may bring a solemn pall to your vacation you’ll find it resonates as a human experience which is immensely rewarding. 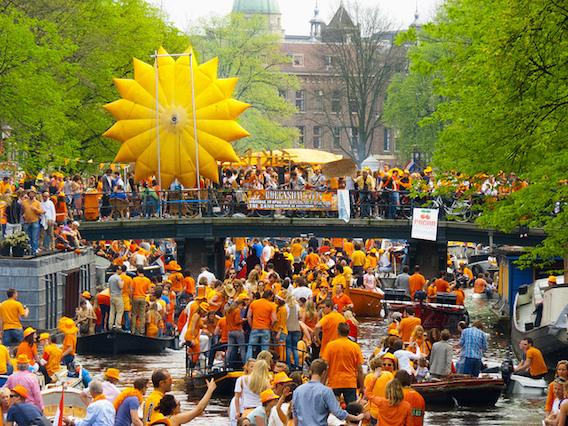 With the summer months waning you may still be fortunate enough to see the sights of Amsterdam by water and in the sun. Amsterdam may not have the romantic celebrity of Venice but its architecture is still beautiful to behold and it is transformed with autumnal colours to make a view which easily matches Poets Walk in New York’s Central Park. 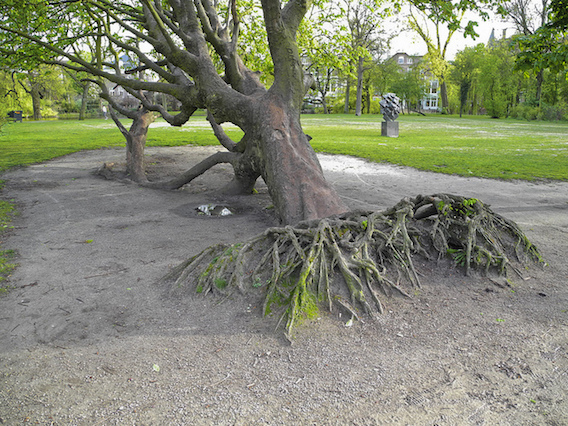 You can also take in the seasonal changes in Vondelpark. 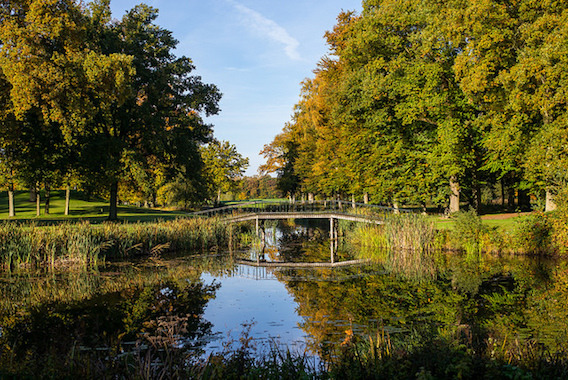 This park situated right in the heart of Amsterdam, constructed during the era of formalism which gives it an exacting and elegant landscape for you to enjoy. Water also runs through it so you may like to take to a boat for a relaxing afternoon. If you favour a bit more open space than a city park then Hoge Veluwe Holland’s national park is a broad expanse due east of Utrecht. Its 21 square miles of country is perfect for a late summer picnic or hike in the country. The real draw of Home Veluwe is its sheer diversity of habitat. Ranging from dunes to dense forest if you have a mind to the spectrum of wildlife preparing for winter will make a trip to this nature park truly rewarding. You can also hire bikes to get around a bit quicker. Hoge Veluwe is home to two museums the Kroller Mueller museum houses artworks by Monet, Van Gogh, Cezanne and Renoir and many others. The gallery itself was constructed as a means of meshing art and nature, indeed there is a sculpture garden outside to reinforce the concatenation. The other major museum of the park is the Museonder an underground museum, that’s not to say few people know about it, the exhibition itself is a journey of the world beneath our feet. You can learn all about the subterranean world as well as findings of animal bones and the lives of underground creatures as well as the systems of trees. Book now for your late summer holidays to Holland. P&O Ferries’ Hull to Rotterdam overnight service is at your service. At last summer is here, don’t waste a moment of it, before you know it fun in the sun will be on the other side of winter. P&O Ferries is taking a look at all the exciting and unique adventures you can take part in over summer 2017 and beyond with in Holland. With P&O Ferries’ Hull to Rotterdam service the Netherlands will open up to you for a mini-break getaway or long stay family holiday, take a look to see what’s in the Dutch oven this summer. We will start out with one of things Holland is famous for, no not tulips, clogs or windmills, we’re talking about herring. Early summer is absolutely the best time of year for you to get your herring fix since the season for herring fishing commences on June 17. If you wish to be there for the inaugural day when the first batches are being sold then there’s no need to wander about the port cities asking for herring like some fish junkie. The opening of herring season coincides with Flag Day or Vlaggetjesdag to use the vernacular. 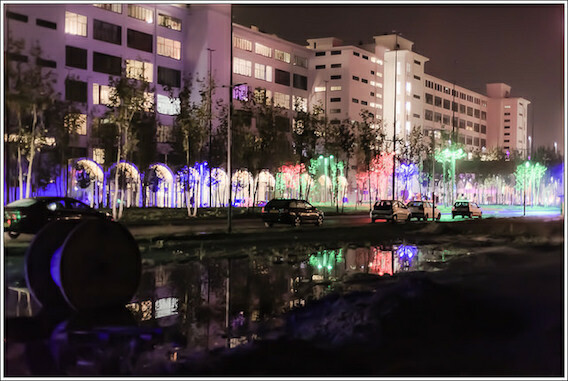 Though the celebration is mostly for a good street party there is plenty of local heritage and cultural tradition to be enjoyed, national dress and songs and dance. 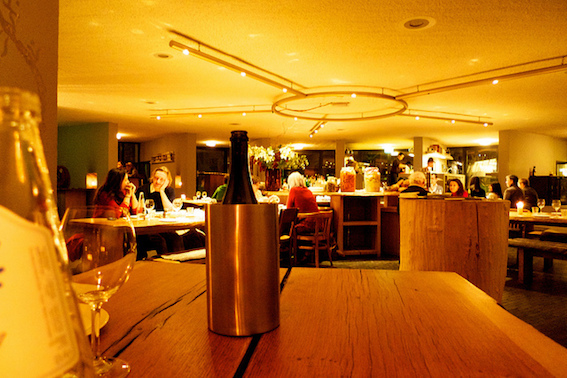 To get right in to the spirit of the occasion head to Schveningen in The Hague. Schveningen is one of the big seaside resorts in Holland, think Yarmouth or Blackpool only Dutch. 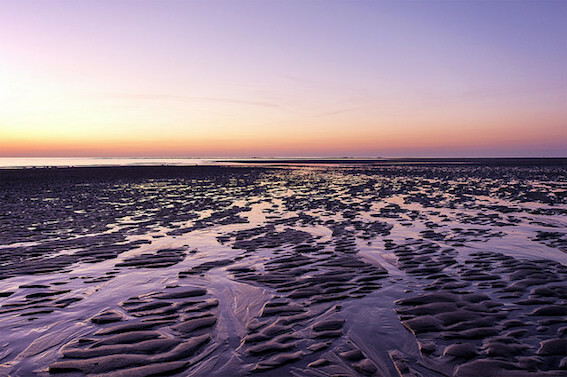 Even if you were planning a city break to one of the main centres of Holland you should still be well within proximity for a day trip to the beach it is a fantastic way to break up a cultural visit if you were mainly planning on visiting galleries and museums. A little later in the year Schveningen also hosts Holland’s Fireworks festival in the second week of August. It will surely add that little bit of magic t you evening and make summer 2017 one to remember. If you have ever wondered where New Year’s Eve firework’s displays are refined, dreamt up and experimented with a fair portion of it can be attributed to the International Fireworks Festival. Various participating countries get to display fireworks, at least 80% of which need to be produced domestically, and get to thrill the crowd for 11-13 minutes. The festival is held over 4 days on the Schveningen beach and is open to the crowd August 11-19. But enough of this, let us get back to the important issue of herring. Each year the new season or Hollandse Nieuwe meaning New Dutch Herring become plump enough to eat after spring plankton bloom. You may have though raw fish was the domain of sushi samplers, igloo dwellers, Gollum and castaways but the Dutch also deserve to have their names on that illustrious list. 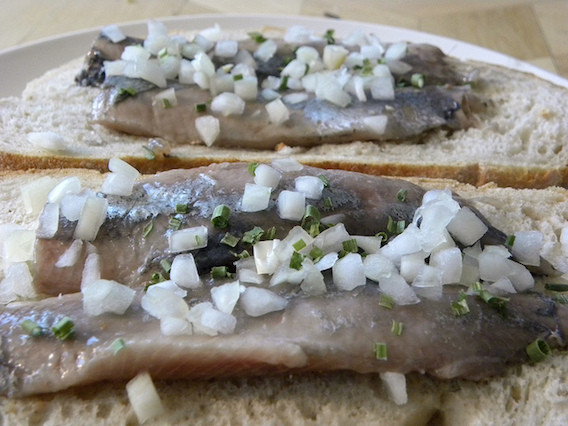 The traditional way to eat herring in the Dutch way is uncooked in a bun with chopped onions and pickles, fabulously tasty and healthy too. With the first fresh hauls being sold buy mongers and stall merchants you should be able to find Herring just about anywhere this time of year. If you’re coming across this post a little late and refuse to let it happen again the date for next years Hollandse Nieuwe is announced in November, and we salute you. There was some exciting news for football fans about Euro 2020. We do have a World Cup in between but since the next Euros will be the 60th anniversary the tournament will be hosted across major capitals of the continent including Amsterdam. So if you can’t get a hold of tickets for the matches to be held in the UK then keep an eye out if you want to attend the 3 qualifying games or the final 16 match. All of which to be held in Amsterdam’s soon to be refurbished stadium. Euro 2020 matches will also be played in Brussels, you can get there with P&O Ferries Hull to Rotterdam service If any teams from the UK are going to be playing in these games there’s sure to be a lively party boat atmosphere on the over night crossing. One of the finer ways to enjoy summer, is in the garden. Of course though a lot of us have very fine gardens there tends to be that niggling doubt that other people have done it better. Had better ideas, or are just fortunate enough to have the right setting and enough time or money to implement maximum garden grandness. 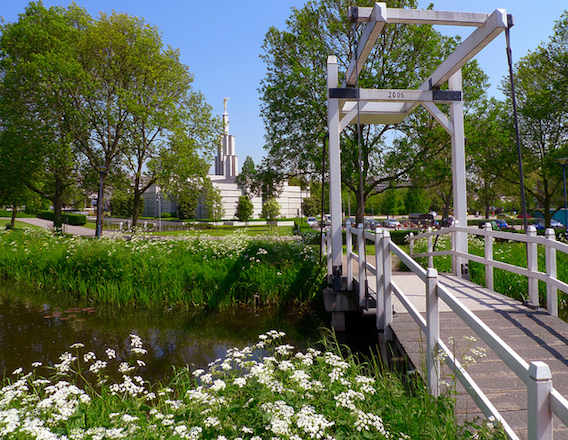 Therefore this June in Amsterdam gardens that are normally closed off from the masses by canal houses are opening up to the public. On the third week of June that’s 16th -18th for €15 you will be granted access to some of the finest gardens in the Netherlands. You will be able to refresh yourself in tea rooms or languish in gazebos. Take inspiration from some of the master gardeners design schemes and plant portfolios. Book now for your summer holiday to Holland with P&O Ferries, Hull to Rotterdam will see you in the Netherlands for all the excitement of the sunny season! The season of good will is upon us. 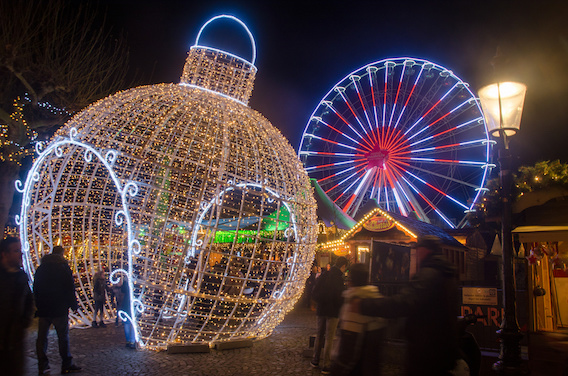 If you’re looking to try something a bit different this year or are looking for a bit of an adventure during what Andy Williams, and yours truly, would refer to as ‘the most wonderful time of the year’ then hop aboard with P&O Ferries and spend Christmas in Holland. 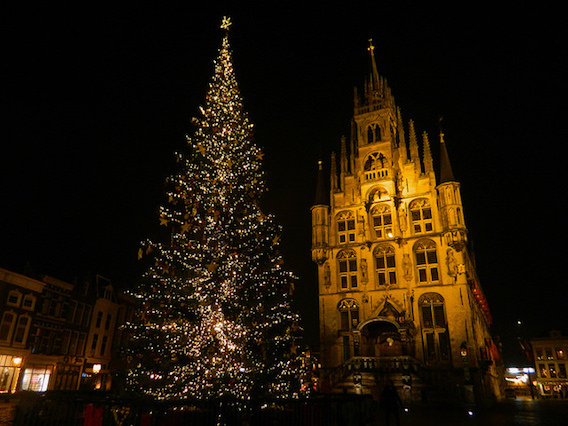 The way Christmas is celebrated in the Netherlands is not all too different to how we do it in the UK, but there are a few additions which you will not want to miss. For starters the weather won’t be much different, provided we don’t have yet another ‘unusual’ winter you’ll be looking at averages of 6 degrees, there’s slightly less rainfall than in the UK too. So ‘pack warm’ really goes without saying. If you aren’t acquainted with Dutch customs one of the major distinctions is that in Holland, the traditional figure of Sinterklaas has a position of eminence in the season. 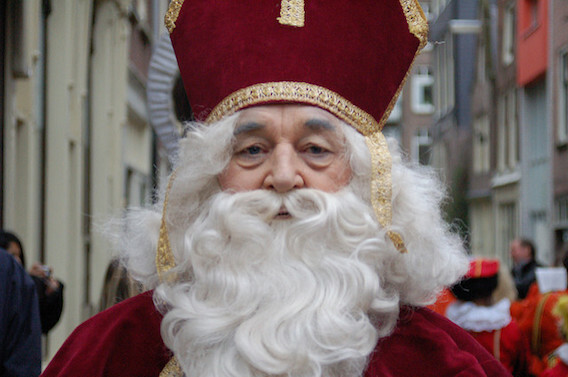 Sinterklaas meaning ‘St Nicholas’ has been amalgamated in to Santa Claus, however the Dutch have him too, as a separate entity. As you can see by the picture of Sinterklaas he is confusingly dressed in very similar attire to the bloke from the north pole but the two characters are very different. Sinterklaas arrives in Holland every year by boat, from Spain, and has a grand parade in a different city each year, which is televised all across the country. 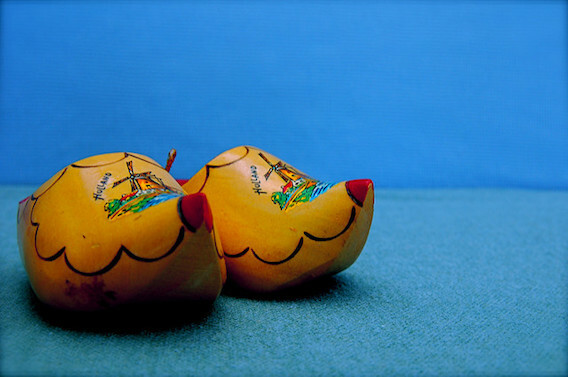 This year Sinterklaas is arriving in Amsterdam on Sunday13th November. He doesn’t come alone, the parade boats should span up to a kilometre bedecked with ‘Zwei Piet’ or ‘Black Peters’ something like Santa’s elves, only a bit more contentious. The onlooking crowd gather along canals to wave in Christmas and are thanked in turn by the float riders with treats and sweets. Definite fun for the family, for more information click here. Another part of Christmas in the Netherlands that you just won’t find here is the Mid-Winter Horn Blowing, don’t let this catch you by surprise. Take accommodation in the east country and you’ll find throughout the days of Advent at dawn some of the locals will draw out huge horns made of elder and let them call out above wells as has been done throughout the ages. Many attribute this as a Christian tradition but some of the symbolism involved has its roots in pagan theatrics. Whereas Boxing day in the UK tends to be, for a lot of us, dedicated to digestive intensive care in Holland Christmas is celebrated over two days including December 26th. It’ll mean carol services are a bit more accessible as the crowds can spread over both nights. Should you find yourself missing a bit of traditional British Christmas fare during your stay in Holland then stop by Deventer on the weekend before Christmas for their annual Dickens Festival. You’ll find Deventer due east of Utrecht just as short drive from the capital and a straight shot off the ferry in Rotterdam. The purpose of this festival is to bring the pages of Dickens to life, everywhere you turn you’ll see famous and infamous characters as well as some of the smaller but equally beloved roles. 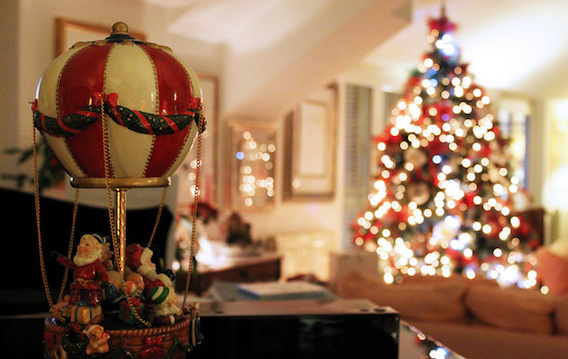 For some of us it just doesn’t get more Christmassy than Victorian era Dickens. There will be stalls a-plenty to do some shopping as well as vendors for a Christmas bowl of smoking Bishop, Bob! 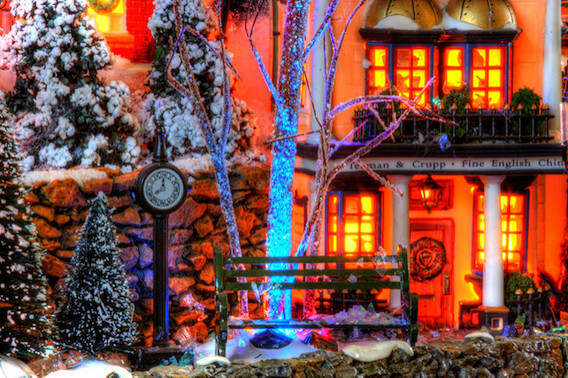 If all this talk of Winter, and Christmas is getting too much for you then there is some light at the end of the tunnel. 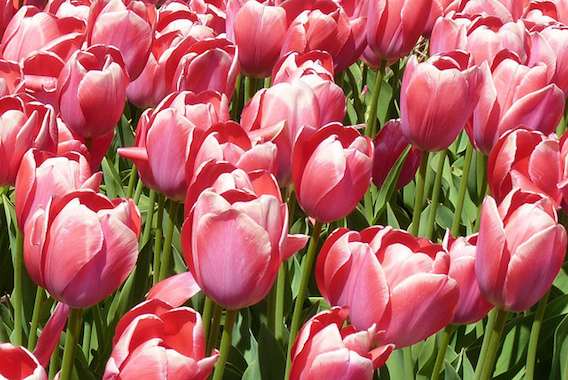 Whilst everyone else is regretting their midwinter indulgence or abstaining this January, you could book yourself a get away for the latter half of the month and reign the true Dutch New Year with the opening of the new Tulip Season. Rather than prancing about in revelry, which is, of course, perfectly acceptable in moderation, celebrate the new year in a more soulful way, by appreciating some of the first flowers of 2017. Tulips are big business in Holland, come National Tulip Day on January 21st you won’t want to be anywhere else other than Dam Square in the country’s capital. 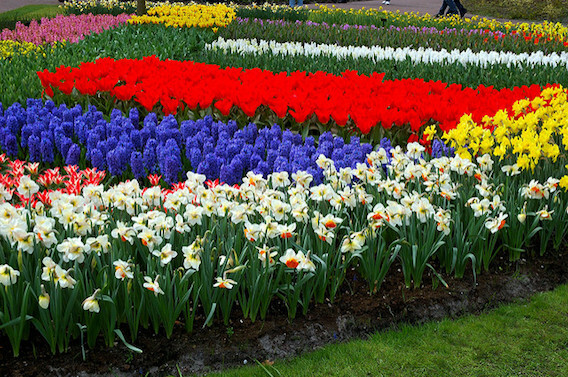 Tulip growers assemble a huge garden comprised of the blooms outside the Royal palace of Amsterdam that’s completely free for anyone to come and pick. 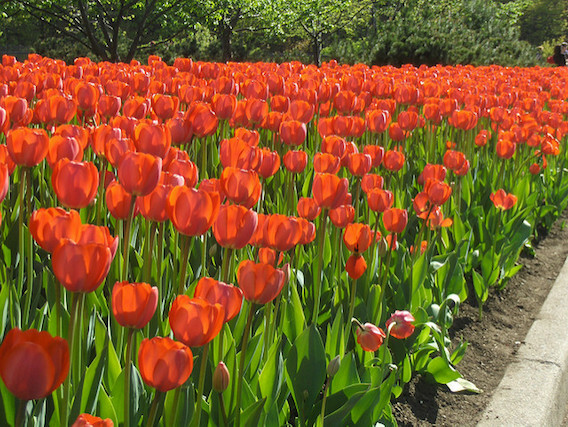 Tulip season lasts until the end of April, the transformation of a central in the Amsterdam to a vibrant colourful garden in the midst of winter is truly something to behold. For traditional New Years Eve revellers, be warned Amsterdam is party central so get your bookings in early lest ye be disappointed. Book now with P&O Ferries for your Hull to Rotterdam trip this winter, this season tends to get a bit hectic, so plan ahead!